This little project started from something silly. Such a silly story that I’m not sure why I am telling you. Mr M was napping on my shoulder, while we were watching tv, and complaining that it wasn’t comfortable and so using our soft toy badger (an IKEA special, which is why it’s name is Grävling) to cushion his head. 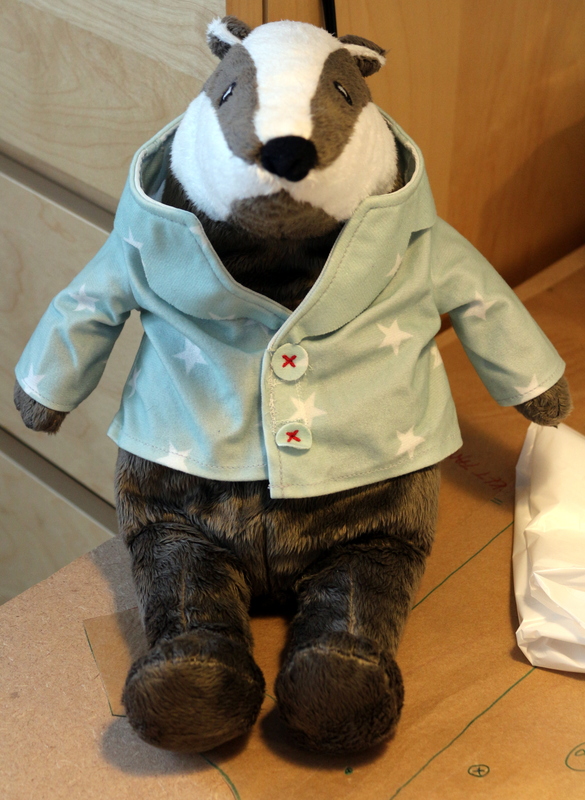 As is often the case when Mr M is sleepy, either while snoozing or whether he has just woken up (he does have really weird dreams), he started randomly babbling about how the badger was sleepy too but didn’t have any pyjamas. In fact he is sort of like Donald Duck, wearing only a jacket. 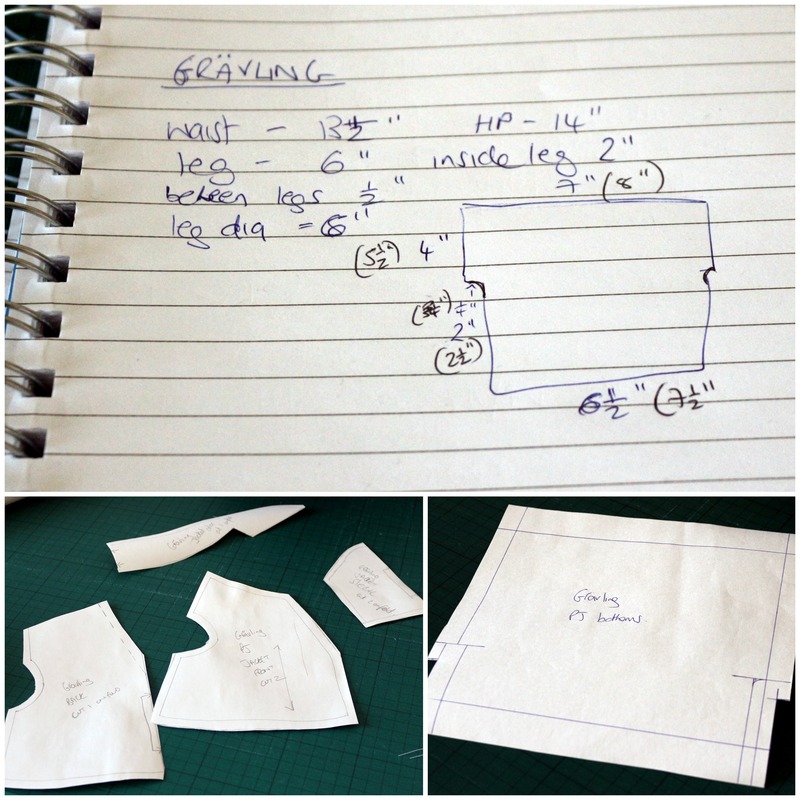 The bottoms were quite simple, narrow hem to the bottom, sewed up the inside leg, then both legs together at the centre. 1/4″ elastic in the waistband, then some narrow white ribbon as a drawstring. The top I just made as in the original. Of course both I made in the same material as I made Mr M some pyjamas in for Christmas……. I gave it to him when he got home. He dissolved into hysterics. It seems I am married to a BIG CHILD! Bread: tastes kinda sweet, which is odd in bread, and uses 5 tsp of yeast! 5! No wonder it rises so fast! I like the idea of all the herbs and stuff, but would modify it next time for my palate. Cookies: YUM. Soft insides like a brownie. Definitely would make them again. I have also been conducting an experiment. A semi-microbiological experiment. Can you tell it’s been 4 months since I got to play with my microbes? 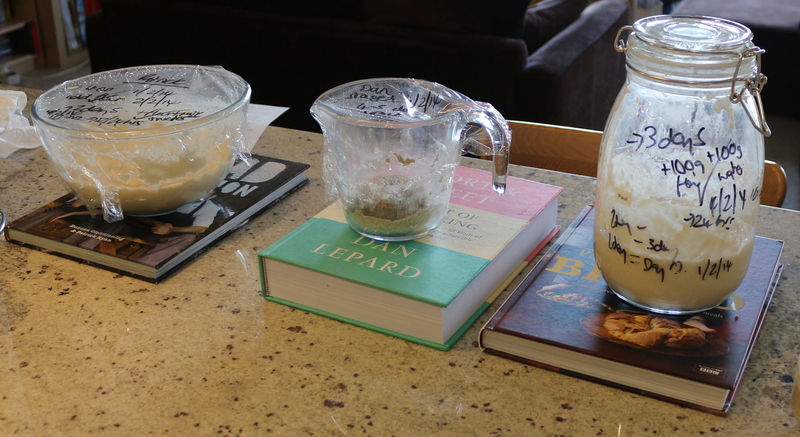 I have started off 3 different sourdough starters. 3 different methods. I will test them out for ease of use and taste, and let you know! Ohh yum so happy you made the cookies and enjoyed them! They totally resemble a brownie texture, which I just love 🙂 Thank’s for linking to my recipe! No problem! My friend Ashlei is really addicted to Avocado at the moment, so I sent the link to her too, and promised we could make some when I visited her in a couple of weeks! Trip to Safeway once we get to yours! 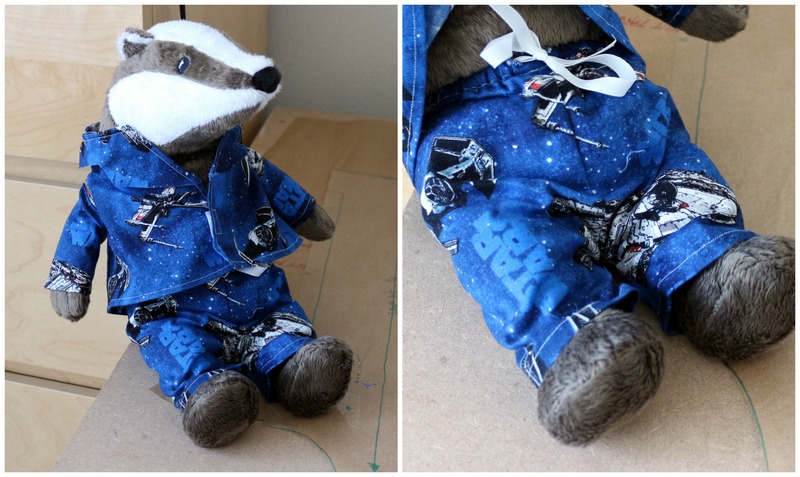 I love the badger pyjamas! 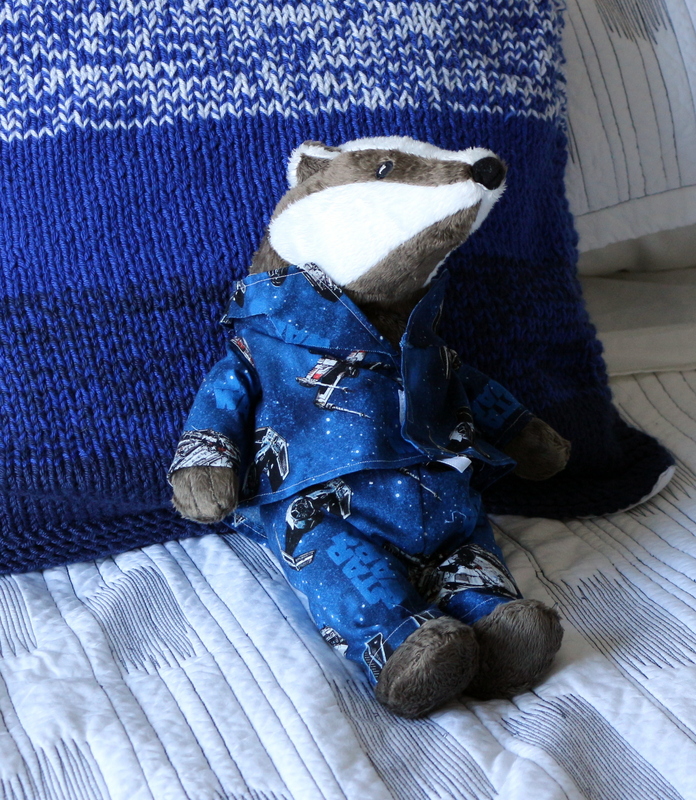 I love your story about Badger’s pyjamas, it made me laugh. I initially thought Mr M was an actual child, not just a BIG CHILD! ← Lovebird: Agapornis fischeri……. and Yorkshire Puddings.